The Northwoods village of Whispering Pines used to be a safe haven for outsiders, but after three deaths in two months, it’s become a hotbed of murder. If Jayne can put all the pieces of this puzzle together, she’ll not only learn the truth behind her grandmother’s death, she’ll catch a killer who's been wandering the village for 40 years. This book was given to me for free at my request, and I provided this voluntary unbiased review. Jane is the sheriff of a small town called Whispering Pines that is known for its fortune-telling and witchcraft. The story starts with an investigation into a death that is loosely tied to the death of Jane’s grandmother a few months prior. Unfortunately, the story doesn’t focus much on this death that she started investigating but instead sends Jane looking back into the town’s past to learn more about her grandmother’s death. The other half of the story focuses on Jane’s attempts to open a bed and breakfast with her business partner Tripp. To be fair, I did not read the first two books in this series, so I may have felt differently about what I viewed to be side stories, had I started with these characters from the beginning. The book was meant for an adult audience but felt like it was written for a young adult audience, mainly due to the simplicity in wording and flat characters. This was particularly true for the Jane / Tripp romance storyline that played out like they were teenagers having their first crush. Given the simplicity, had the book been about a group of teenagers in this same plot, I would have enjoyed it more. This series is absolutely enjoyable! But you should definitely start with the first book. I love the setting with plenty of engaging characters working on solving mysteries. The stories are narrated from the heroine's perspective. Sandra Murphy is doing an outstanding job through the pitch, accuracy in execution and attention to dynamics. I hope there is more to come. A very nice listen. I received a promotional copy of this book, and this is my honest review. Original Secrets was a great read by Shawn McGuire. Whispering Pines used to be a safe plea for visitors, that is until there are three deaths in two months. Jayne finds her grandmother's journals and used them as an escape. In the journals she may find out who is behind her grandmother's death as well as someone who has murdered and been wandering Whispering Pines for 40 years. I loved reading this book. I liked the book cover and description and I was even hooked at the beginning but as the story progressed I found that I lost interest. I found it to be slow going for me. I would have prefered more action or for something to happen. This is not for me but others might enjoy it more than I did. 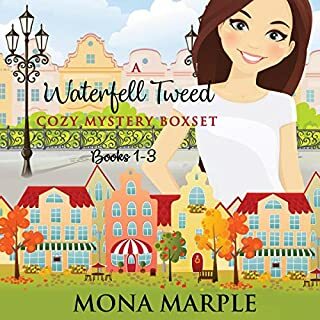 A Great Cozy Mystery Series! 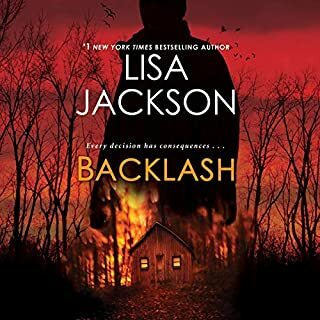 I enjoyed listening to this next installment to the Whispering Pines series. Let me start by saying that you really should listen to the first two books before this one so everything makes sense. I've read other reviewers say you can listen to this one as a stand alone but I don't recommend that. The three books all tie together and if you haven't listened to the first two then you are going to miss out on a few things. I enjoyed Janye and Tripp's romance not being center stage, that the focus was on the murders and the mystery surrounding them. The narration was well done by Sandra Murphy. She really brings the characters to life and helps to pull the listener in. 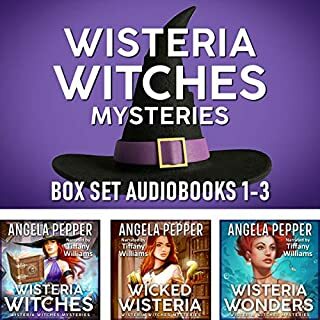 Overall, Whispering Pines is an enjoyable cozy mystery series that is worth your time to listen to. This is the 3rd in this series of which I was not aware until I started listening to it. If I had read the first 2 in the series first, I would likely have enjoyed it more. Sheriff Jayne O'Shea moves to Whispering Pine to start a bed and breakfast in her Grandmother’s home. Jayne’s grandmother had been found dead in her bathtub and Jayne is not convinced it was an accident. A second death occurs in the village and Jayne sets out to investigate. In the meantime,while renovating her grandmother’s house, she comes across 40 year journals which clarify how and why the village came to be with all its eclectic, misfit inhabitants. I was given this free review copy audiobook at my request and have voluntarily left this review. 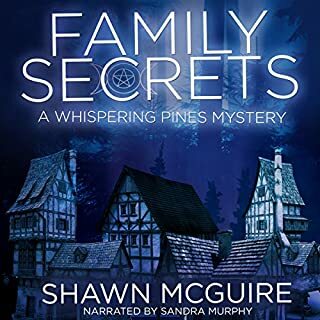 Original Secrets is the third in the Whispering Pines Mystery series, and I must admit that I listened to (and loved) the first two books in the series. Consequently, I might be wrong, but I think Original Secrets could be enjoyed as a standalone. This series has a wonderful blend of the classic whodunnit with a chilling hint of the paranormal. Taking place in the isolated village of Whispering Pines, a sanctuary to mystics, circus carnies, Wicca practitioners and fortune-tellers, Original Secrets stars Jane, the granddaughter of the town's founder and the recently appointed sheriff. The author brilliantly combines an intriguing mystery from the town's past with current animosities among the town's residents. I was blown away by the answer to this book's mystery, and I am amazed at how well the author used foreshadowing throughout all three books to hint at what was coming at the end of this story. Mixed in with Jane's detective work were interactions with the unique people of Whispering Pines and a very slow burn romance with her friend Tripp. I was so excited to learn the answer to the mystery and to discover the next steps in Jane and Tripp's budding romance, that I listened straight through with no breaks. I fervently hope Audible produces the rest of this series as soon as possible. Sandra Murphy's narration is fabulous. She has a pleasant, almost soothing voice, and she differentiates well between characters. Murphy narrates all three books in the series, and she is the perfect choice to continue this wonderful mystery series. I should note that I rarely ever ONLY listen to an audio book. Usually, I am driving, or working out, or playing in my studio. (I suspect most folks have similar listening habits.) Therefore, an audio book must have a certain level of narration and an engaging story line to pull me into it. Sandra Murphy has a pleasant, easy voice and her narration is concise and clear. The story itself did an okay job of holding my attention, but there were times when I found myself thinking about something different, and would need to back up to re-listen to a portion. The motivations for some characters and situations felt a bit lacking and unbelievable, but overall the book was a worthwhile listen and one I believe most fans of this genre would enjoy. I was given this audio book for free, at my request, and have voluntarily left this review. 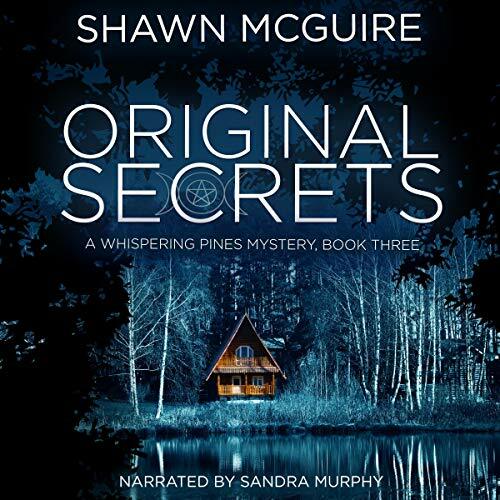 Original Secrets by Shawn McGuire is part of the Whispering Pines Mystery Series. I love the writing style of the author and find the imagery to be so well done that I can envision Whispering Pines and the lake. This book is a standalone listen and gives great background on Jane's grandmother and the feud between residents and history of community. I especially enjoy how the romance between Jane and Tripp is kept clean and on a side burner, and the focus is on the mystery. There are some unexpected twists in this book too. I requested this review copy audiobook and have voluntarily written this review. Sandra Murphy did a great job narrating this book. I will definitely listen to more books by this author and narrator. Whispering Pines is a small town, established in 1966, on Jayne's grandmother's land. The 20 something ex police sergeant hadn't been back since she was 10, some sixteen years before. But, following her grandmother's death, she'd persuaded her parents not to sell immediately but instead let her try to establish a profitable bed and breakfast business in the large, multi bedroomed house. They gave her a one year trial to break even and the conversion work was being assisted by Trip, an attractive man she'd met just after her arrival. But Jayne had also taken on the job of Sheriff for the area and was desperately in need of a Deputy especially since Whispering Pines was becoming a popular tourist destination with it's beautiful scenery and colourful inhabitants, and the recent small spate of murders. But it is the arrival of the overdue autopsy report on her grandmother's death, showing it not to have been the simple accident previously believed, that has Jayne reading through the night the journals kept since the inception of the community in an attempt to discover who killed her. 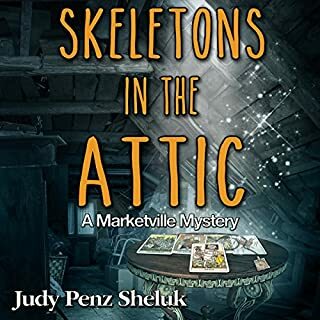 This cozy mystery is full of atmosphere and character. Some lovely touches, too, like the sound of the wind in the trees which gives name to the small town. The townsfolk might call themselves witches, for the most part, but they are of the New Age variety, not paranormals, and predictions are only vaguely accurate despite the popularity of the fortune tellers with the tourists. The main protagonists, in particular, are very human with both good points and definite flaws. And the author carefully details every item that Jayne, and some others, eat. The narration is good, clear and well paced. Sandra Murphy has a pleasant, well modulated voice and, whilst her renditions of the individual protagonists' voices are not greatly differentiated, this in no way detracts from her overall tidy performance. Although third in the series, Original Secrets can be enjoyed without having to read the earlier books as all essential information is given. Although the portrayal of the town, and of Jayne herself, is excellent and tension builds as the book progresses, the final resolution feels rushed and not quite satisfactoy. It is, however, a fun read. My thanks to the rights holder who, at my request freely gifted me a complimentary copy of Original Secrets, via Audiobook Boom.